With the advent of the internet, people are more connected than ever. You can meet and befriend people from anywhere, with some people even finding love in other countries, such as this curious romance reported by the China Press. Enter Yang Xiaolan, a 28-year-old student from China who was studying in Malaysia. She met Shakolin, a Malaysian studying in the Syrian Arab Republic through social media 10 years ago. It was through Friendster btw!!! As luck would have it, they clicked right away and chatted online regularly. After a year, Shakolin returned from Syria to Malaysia and the two met in person for the first time. Their friendship then blossomed into something more, with the two falling hard for each other. Despite differences in both nationality and culture, the two had a wonderful relationship and got married four years later. Fast forward to now, six years later, the couple also has a delightfully cute daughter! Congrats! 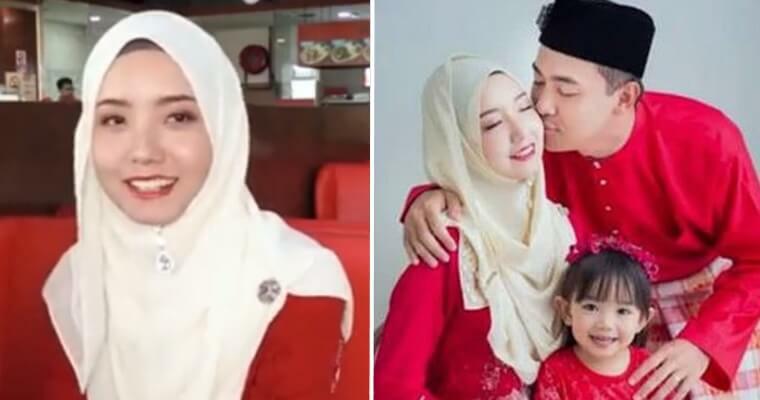 Initially, they both spoke in English, but over the years, Yang taught Shakolin some Chinese and he taught her some Malay. Although there have been no issues with communication, Shakolin still has some pretty funny stories about his Chinese. Like the time he followed Yang back to meet her family, her grandmother asked him, “What’s the weather like in Malaysia?”. Shakolin confidently replied, “It’s been raining recently,” but he mispronounced “rain” (yu) as “oil” (you) and ended up telling the baffled grandma that, “We’ve been getting oil recently”. 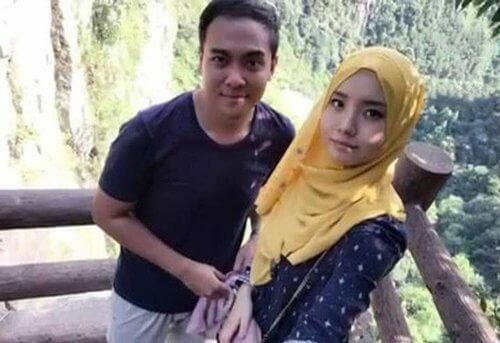 They got engaged shortly after her graduation and held two weddings in both Malaysia and Xi’an. 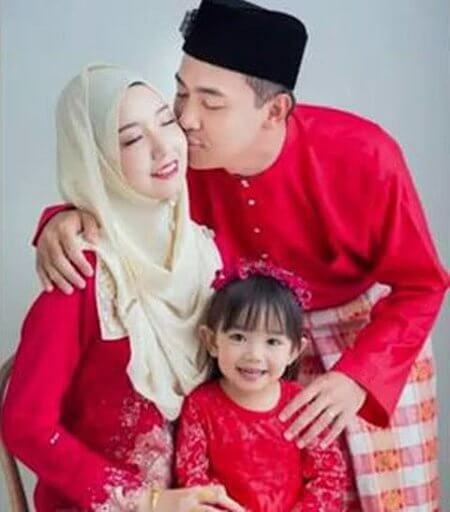 Her family is Hui Muslims, so there were no objections from either family and everything was smooth sailing! 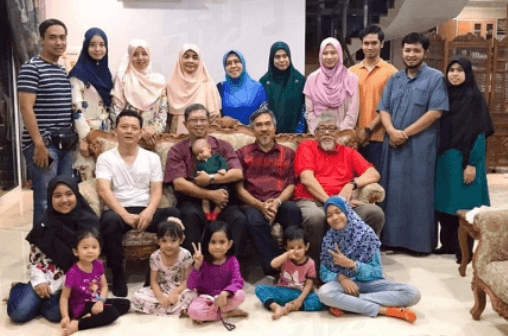 In an interesting twist, Shakolin’s family actually has ties to Malaysia’s elite, with his father Mohammad Nizar Jamaluddin serving as the former Chief Minister of Perak. However, Yang has mentioned that although she knew, she had no interest in politics. Today, although they’ve been happily married for many years, their relationship is still as sweet as ever as they behave more like young sweethearts giddy with love. In fact, Yang had nothing but praise for her husband when she was interviewed. 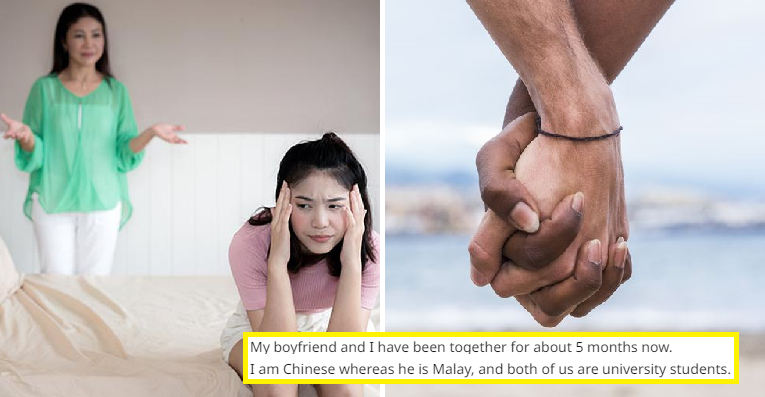 She revealed how Shakolin comes home straight after work, so one day she asked why he doesn’t lepak with his friends after he clocks out. His reply? He doesn’t like it. He prefers spending time with his lovely wife and daughter instead. Yang says she gives him a husband rating of 98 points. She says he loses two points for telling her he’d cook while he was still studying in Syria, but now that they’re married, he rarely cooks. Truly, nobody’s perfect. You can watch this video about them here. What a cute couple! We wish them many more years of a long and happy marriage! Have you guys tried making friends online? How was the experience? Let us know in the comments!